So I am feeling really bad for my friends on the East Coast who are going through the Jeepers Creepers time of year. Yes, my friends, it’s all about the 17 year cicadas over that way, and this happens to be Brood II. For those of you in Chicago, just so we can prepare, we have until 2024 before the next takeover of the red-eyed creatures. Today as part of our science lesson, the ladybug and the twizzlers and I, signed on to (well I signed on to it, although they probably very well could) Animal Planet Live to watch a live cam of the Eastern Brood. They are encased in a tank (from what I can see) with a miniature replica of the White House, because we know that we as a nation haven’t had enough sci-fi tales about scaly creatures attacking our beloved White House. It’s that house and the Statue of Liberty that can’t catch a break. What is great though, is the fact that this live cam has tabs where you can either participate in discussions, or find out great facts concerning which animals you happen to be looking at. Here are some facts pulled directly from the site. These are periodical cicadas belonging to Brood II. They emerge from the ground every 17 years in North Carolina, Virginia, Maryland, Pennsylvania, New Jersey, New York and Connecticut. Cicadas emerge from the ground when soil temperature reaches 64 degrees fahrenheit. Brood II cicadas emerge from their exoskeletons completely white except for bright red eyes and patches of black behind the head. Female cicadas lay their eggs under tree bark. They have specially designed egg-laying tubes that allow them to make a slit in the bark. 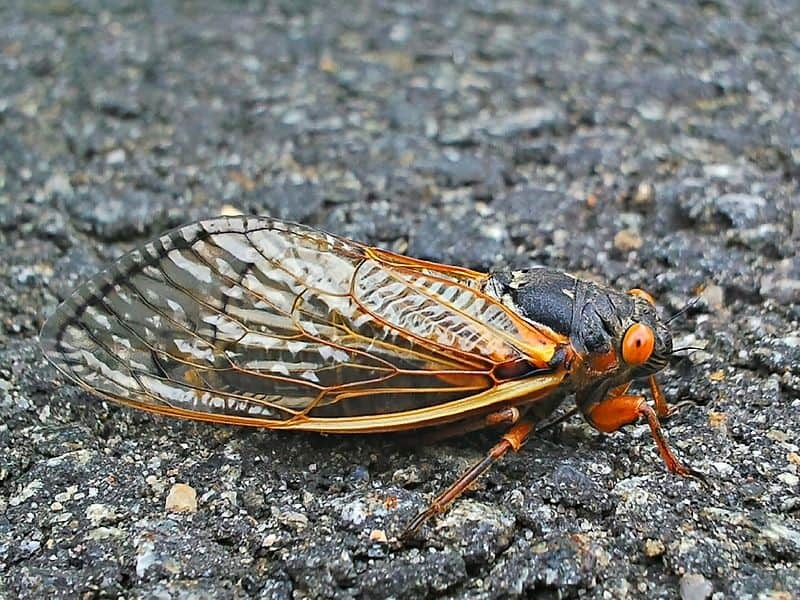 Adult cicadas live approximately three weeks. They emerge from the ground only to mate. Their nymphs will burrow into the soil and spend 17 years underground growing into adults. Cicadas are largely harmless. They won’t bite people or pets. They feed on plant sap. While some of you may have adverse feelings about staring at cicadas for any period of time, there are also live cams of bunnies, nettles (jellyfish), chicks, birds, piranha’s, blue herons, penguins, and of course kittens. You should check it out. Especially if it’s too cold, rainy, or any other unsavory weather to go outside and watch the wildlife. Or just plain noisy.